Octeris creates value for you. 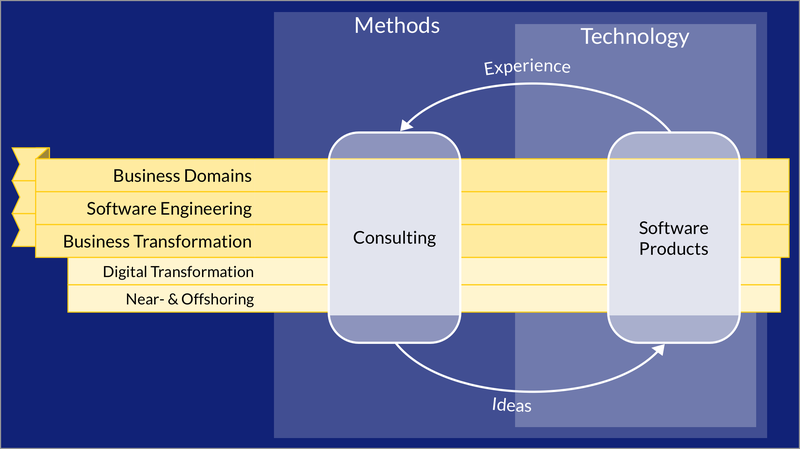 Through business transformation. Let us help you transform. Is your business model digital yet? Have your shareholders demanded your business become digital yet? Now imagine instead of simply doing what thousands of others in your business domain have already done, you manage to reinvent the business. To change the way things are done. To excite your customers. Wouldn't that be great? We can help you come up with new business models leveraging information technology, and automate processes. And together, we can take digitalization one step further. Let's aim to transform your business! Work with the best. At the best cost/benefit ratio. There are many reasons not to work with near- or offshore resources: more scope for misunderstandings, time differences, different rules and regulations, possibility for cultural clashes, and so forth. But there are many more reasons to actually work with people abroad. To start with, realizing there is scope for misunderstandings should lead to improved processes (in reality, there are many misunderstandings locally as well). Time difference can allow for around the clock customer support and improved operations quality. Knowing about different rules and regulations helps understand the challenges when entering a new market. And cultural clashes – being aware they could happen helps you work with diverse workforces locally as well. And then of course there is no denying that – if done right (and assuming you're in a high cost location to start with) – near- and offshoring can mean a huge improvement of a firm's cost / income ratio. It's a rather big investment and it can go terribly wrong; but with insights from people who have successfully done it before, the probability of success is high. We don't have all the answers, but we can certainly help you understand what differentiates companies that successfully work with near- and offshore setups from those that fail.